A woman who was ‘immune’ to getting pregnant has finally given birth after eight years – with the help of an egg yolk. After four devastating IVF failures, Johanna McSweeney and partner Barrie Archer were close to giving up. But thanks to a pioneering treatment – involving the humble egg – they pair become the the proud parents of baby Thomas in July. The medication, called intravenous intralipid therapy, is made from soya bean oil, egg yolk, glycerin and water and administered through an IV drip. It works on the premise that some women are actually immune to pregnancy. So when an embryo tries to develop in their womb, their immune system goes into overdrive to destroy it as if it were an intruding bug or virus. Instead, the IV mixture helps by fighting killer cells that destroy a mother’s chance of pregnancy. 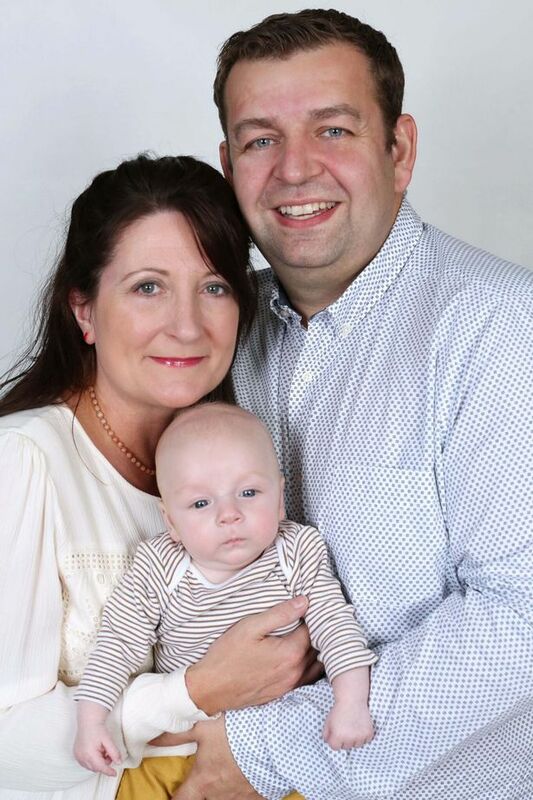 Johanna, 42, a finance advisor, and Barrie, 39, began their successful treatment after seeing specialists at CARE Fertility UK, in Northampton. Johanna said: “I look at him every day and think how lucky we are and I want every women to have the chance to feel how I do now. “We have been trying for eight years and we had four failed attempts at IVF in two years. We had three cycles offered by our local NHS, which I learned is not offered everywhere in the UK. “It’s a draining experience to have four cycles which is quite a lot, but some people have even more in that time. “But with the disappointment and the drugs, which are not great for a woman’s body, we decided to have a break for two years and went travelling to New Zealand and Australia. Johanna was then put on a special course of treatment which involved using the drip containing a mixture containing soya and egg yolk. She said: “The test that identified the killer cells cost £1,700 simply because the blood is couriered to Chicago as it is not possible to do it in the UK, which is unbelievable. “I’m sure it would be cheaper if it could be done here. “The NHS don’t offer it as part of the IVF treatments they subsidise. Some clinics now just offer the treatment if there have been failed attempts and unexplained infertility. “Although you are looking at around £1,200 for this alone and it is only done when you are paying for the cycle.